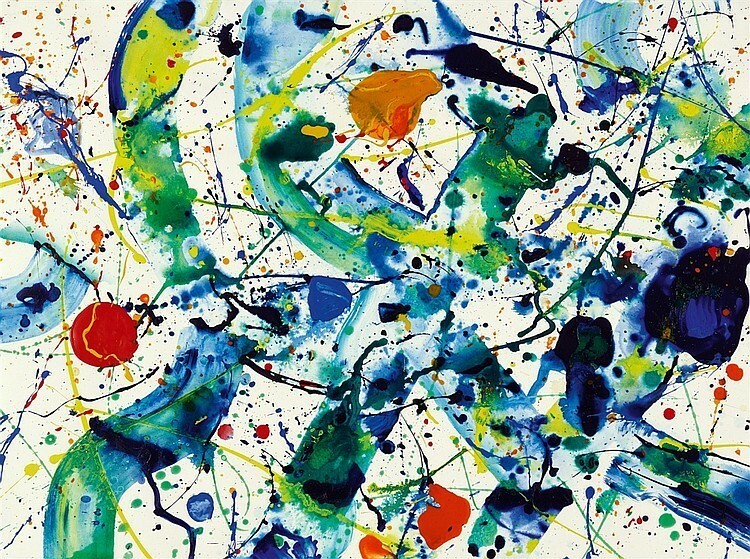 Lempertz's upcoming auction features the best of 20th century modern and contemporary art. The top lot of the auction comes from the gifted hands of Pablo Picasso, who was already 85 years old at the time of its creation. 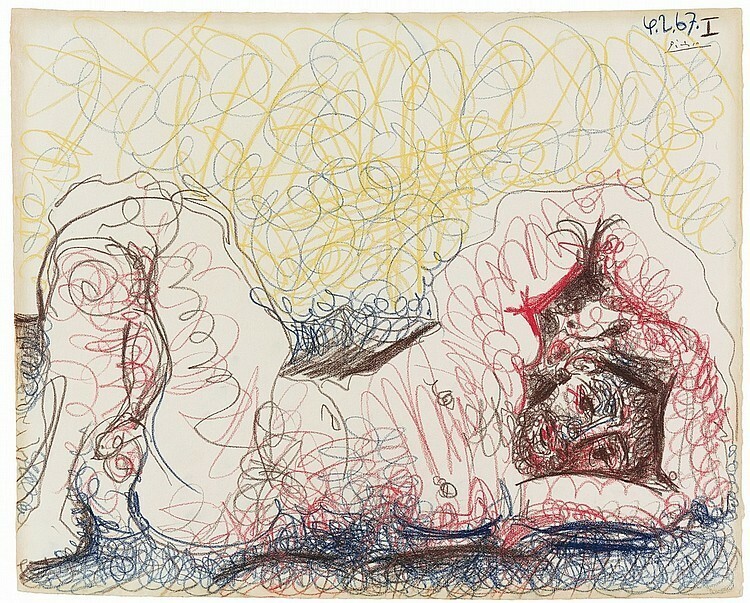 The polychrome crayon drawing shows a naked man in a resting position – rather unusual for Picasso, who was known to often represent himself in his old age as a bullfighter, Eros, or Minotauros. Two other major works of the auction are by Picasso's compatriot Joan Miró, who, lived as a refugee in Paris from 1936 to 1940 during the Spanish Civil War. The dreamy gouache Souvenir du Parc Montsouris dates from this period and is a surrealist nighttime observation of the Paris park, characteristic of Miro's whimsical compositions. 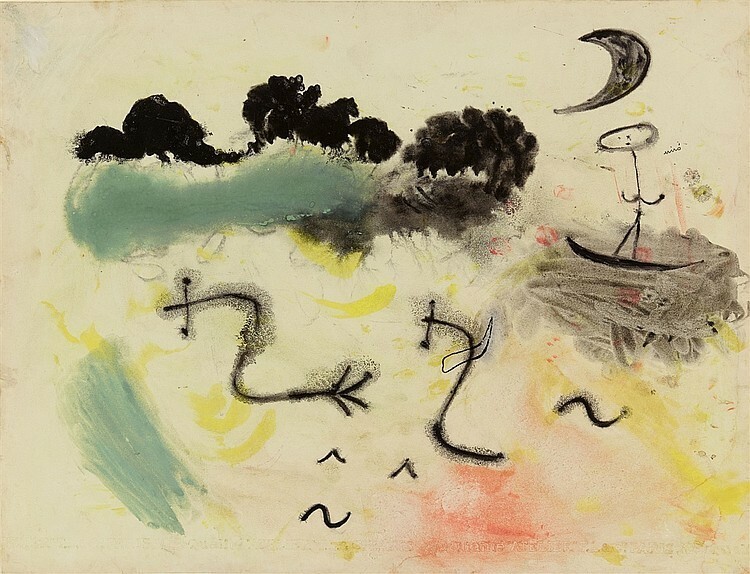 Miró’s other work in the auction, Solitude III / III, is a later piece which is part of a three-part series from 1960. The Impressionist Henry Moret was a member of the Pont-Aven school, an artist community inspired by Paul Gauguin that developed in the late-19th century on the south coast of Brittany. 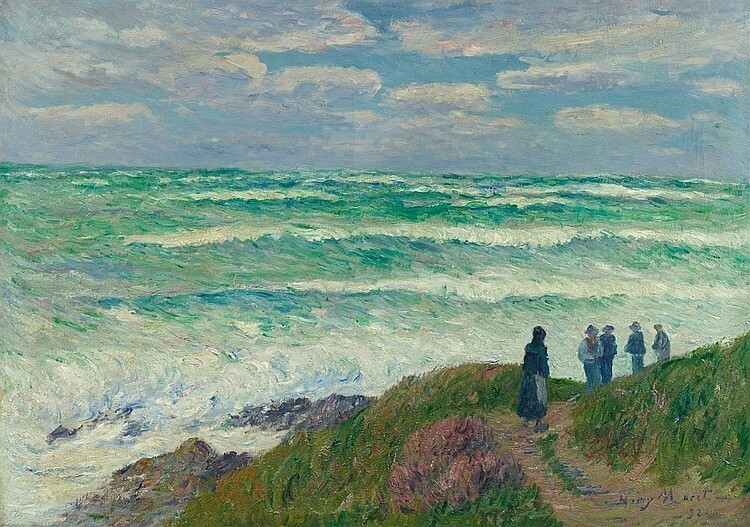 The dramatic coastal landscape highlighting the interplay of light and color is the main motif in Moret's oeuvre. After Picasso and Miró, two other artists who spent part of their lives in France, Wassily Kandinsky and Serge Poliakoff, form part of the Lempertz auction. 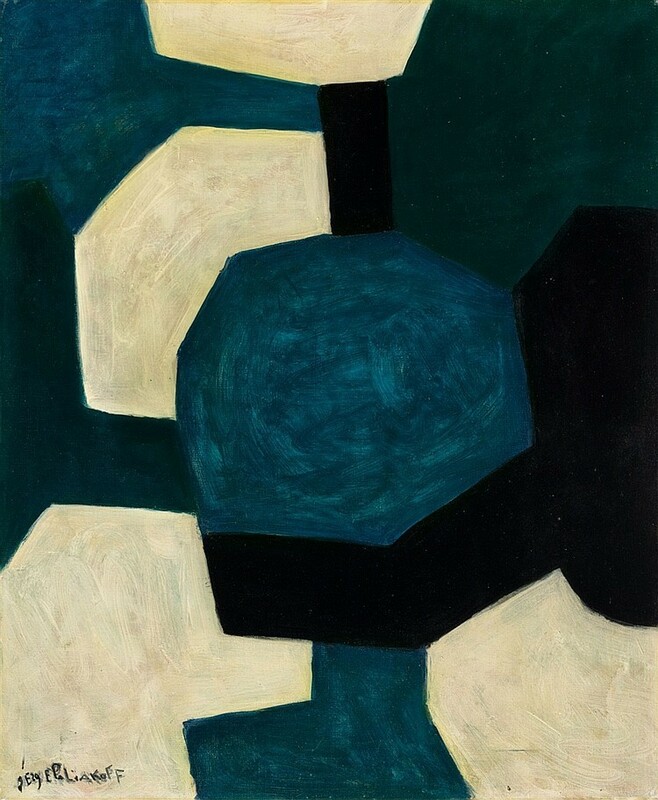 Poliakoff, born in Moscow, lived mainly in Paris beginning in 1923, where he became an important representative of the Nouvelle École with his non-objective abstractions. Wassily Kandinsky, who was also born in Moscow, was a member of the Blaue Reiter in Munich, a movement that strived to find spirituality through rich colors and naturalistic themes. 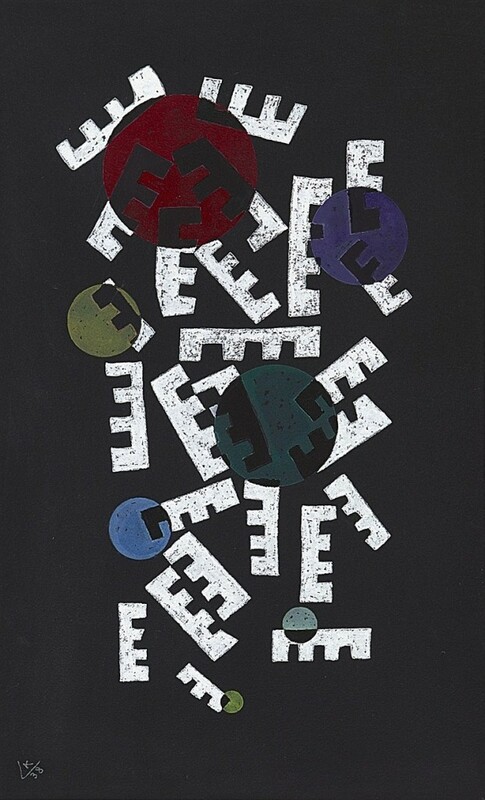 He went into exile in France in 1933, where he became one of the first artists to create completely abstract artworks. Andy Warhol and German performance artist Joseph Beuys met for the first time in 1979 in the Hans Mayer gallery in Dusseldorf. Another meeting took place the following year in New York, where Warhol took a Polaroid photograph of Beuys; he used this as a template for a series of screen prints which were issued for the first time in April 1980 in Naples. 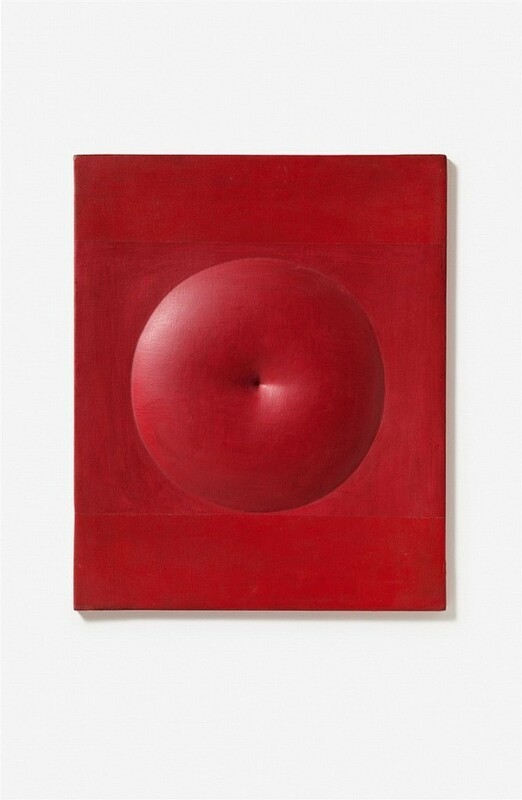 Agostino Bonalumi, a representative of the Italian post-war avant-garde, sought paintings that removed the boundaries between two-dimensional and three-dimensional art, as did his mentor Lucio Fontana. The result was color-intensive works that straddle the line of painting and sculpture. There many other legendary names included in Lempertz’s sale, including Emil Nolde, Ernst Wilhelm Nay, August Macke, Ernst Ludwig Kirchner, Alexei Jawlensky, Max Lieberman, Paula Modersohn-Becker, Niki de Saint Phalle, Lyonel Feininger and more. The ‘Photography’ and ‘Modern Art’ auctions will take place on November 30 and ‘Contemporary Photography and Art’ on December 1. An auction of Asian Art will take place on December 7 and 8.